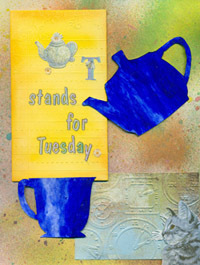 This entry was posted in Nature, Spring, T stands for Tuesday, Traveling Tea Cup and tagged Photography. Bookmark the permalink. You certainly could have fooled me. My, Jim has big feet! What a beautiful spot! It would be hard to tear myself away from it. I love each and every photo! 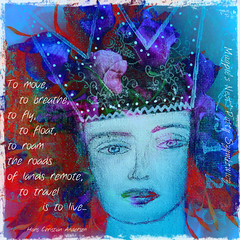 Have a fabulous blog break. I’ll look forward to your return and all the loveliness you will again share! I’m going to miss you and the traveling tea cup as you take your blog break. I hope you take pictures wherever you land. 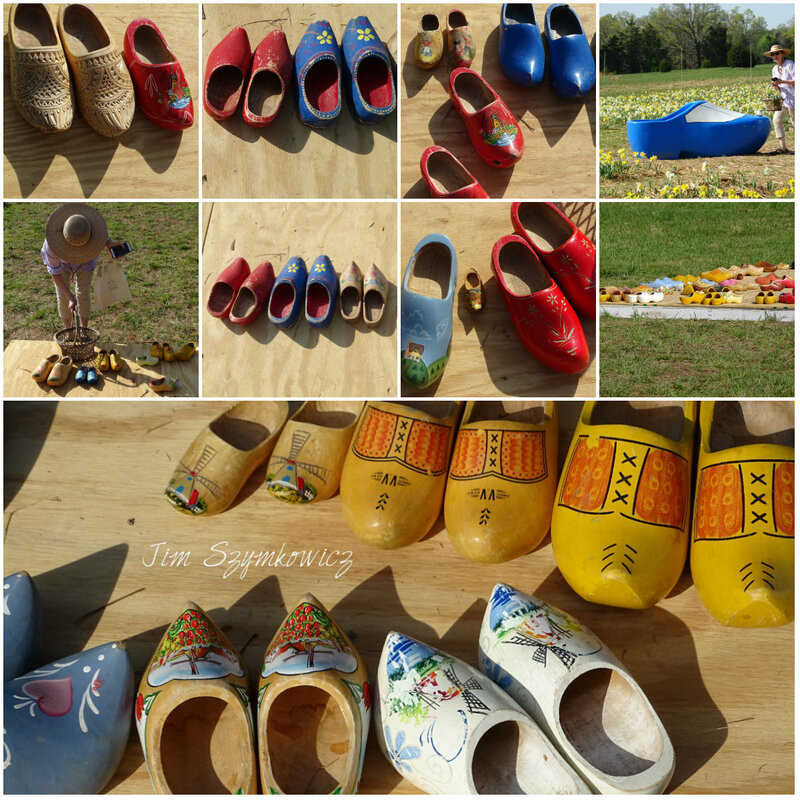 This farm is amazing, and I was surprised by all the different styles of wooden shoes. I always thought they all had pointed toes, but that doesn’t seem to be the case. I really enjoyed the blooms and beauty of the entire experience. So glad you shared this trip with us, as well as taking your traveling tea cup for T this Tuesday. Please enjoy your time away. I love your easter eggs, there decorated beautifully. 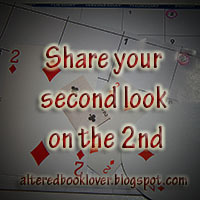 I hope you have a nice blog break! Lovely photos and beautiful fields of flowers. Tulips are always a pretty sight to see especially when they are growing in such a abundance. A delightful collection of decorated clogs as well. 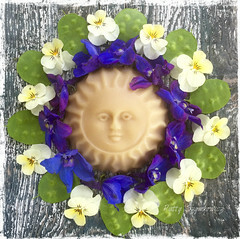 What gorgeous Easter eggs you created with plant materials! The Easter bunny must have enjoyed hiding such beauties. 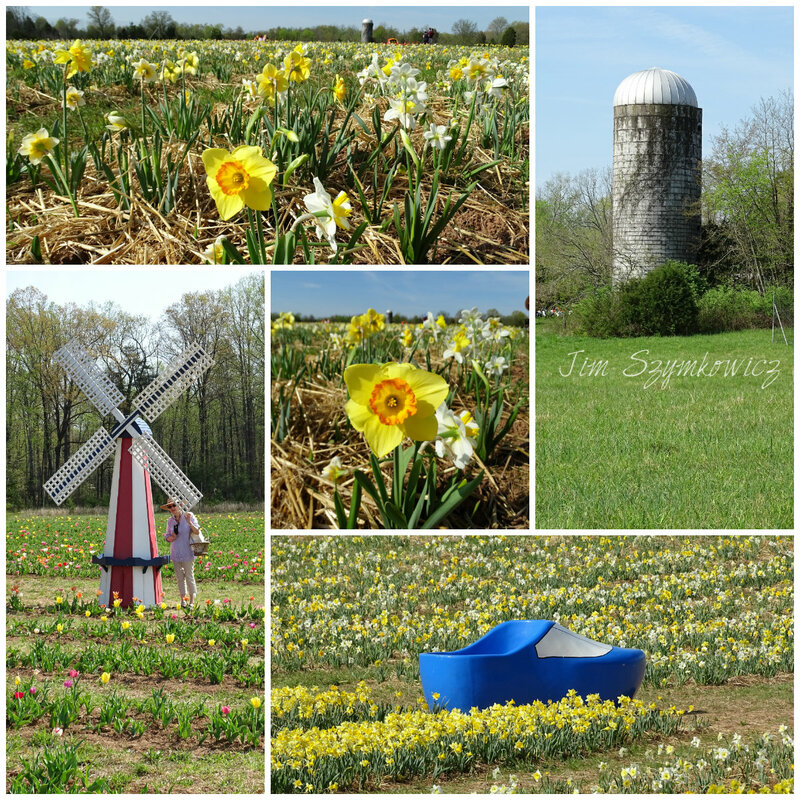 Your day at the tulip farm was so colorful and filled with such quirky delights. I hope you are doing something fun and relaxing during your break. You will be missed! gorgeous photos! 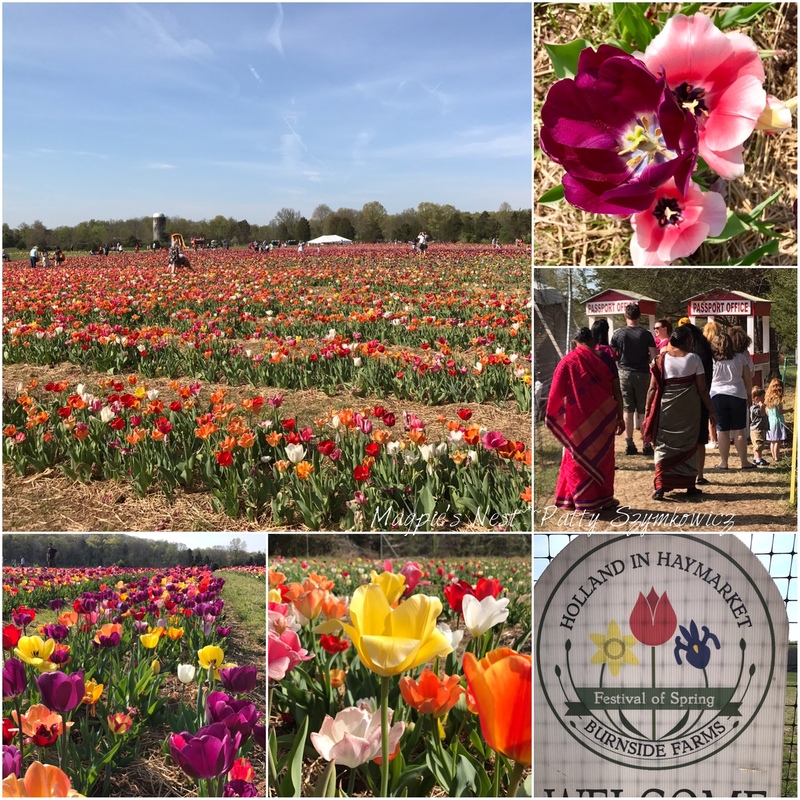 To see so many beautiful blooms…and it sure does look like Holland. 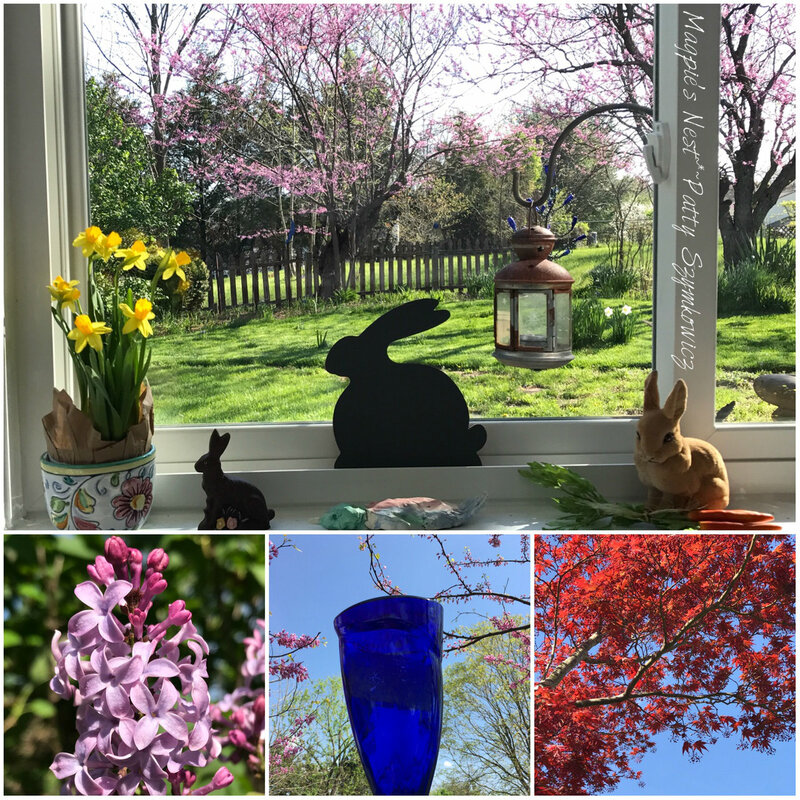 Love the Easter eggs and your bunny vignette at the window sill:) Enjoy your time away from the PC. I’ll be thinking of you;) Happy T day! 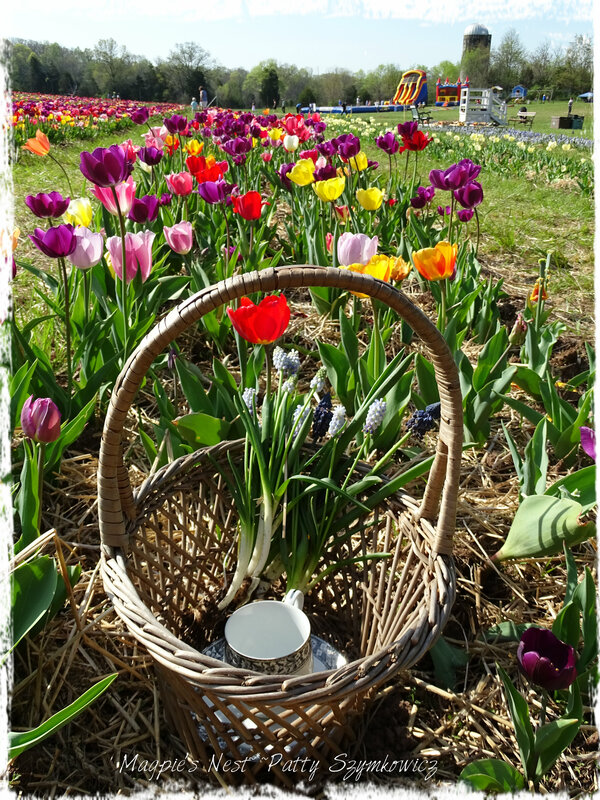 What a colourful and joyful post Patty… your decorated eggs are wonderful… and those Tulips amazing – what a sight that must have been to see in real life. What gorgeous blooms!! I would love to walk, or tiptoe through those flowers as you did! This post absolutely brought sunshine and happiness to my world this morning! Thank you dear friend! “Where ever I go, my tea cup goes!” Beautiful pictures Patty. My gosh – it has not been that hot here in Northern Florida. We will miss you! 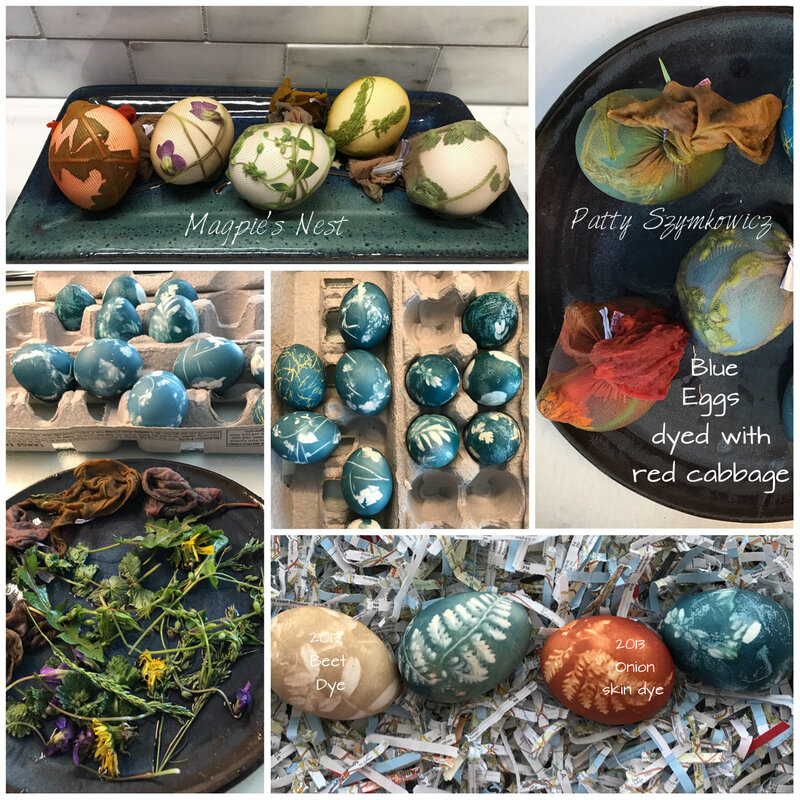 Beautiful spring images – the painted eggs look so lovely… ! Gorgeous images! Have a wonderful break, I look forward to what you have in store for May. very much like Holland!! wonderful photos, i´m in awe! we have snow here back again, so at least your Pictures brighten my day! Your photos are great. 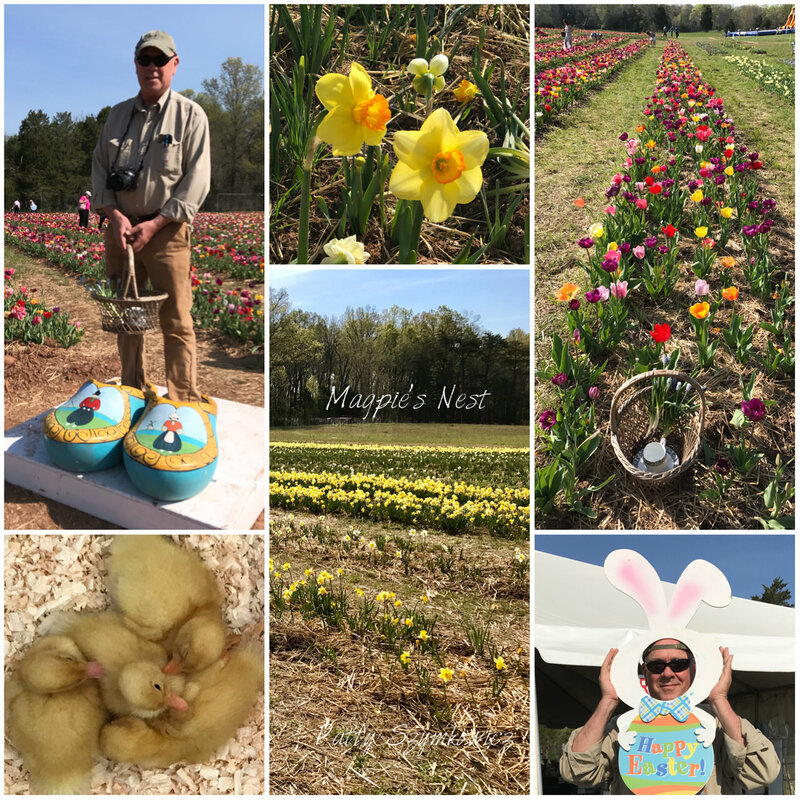 Love the clogs, tulips and the view from your window, Your botanical eggs are beautiful, so different. Happy T day, and a relaxing blogging break. Wonderful blue eggs with the signs of the plants on it. 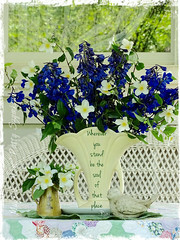 Gorgeous Photos of tulips, wooden shoes and travelling tea cup. As ever a joy to watch your nice photos. This morning I was in our dutch neighbour town and bought fresh asparagus for our Dinner, the asparagus tasted very yummy. There was also a seller of hobby accessories on the market and I found a nice punch and a wonderful stencil which I bought. But your dutch farm area is also really nice. How amazing to see all the tulips. I see the travelling teacup is travelling in its own cosy basket. 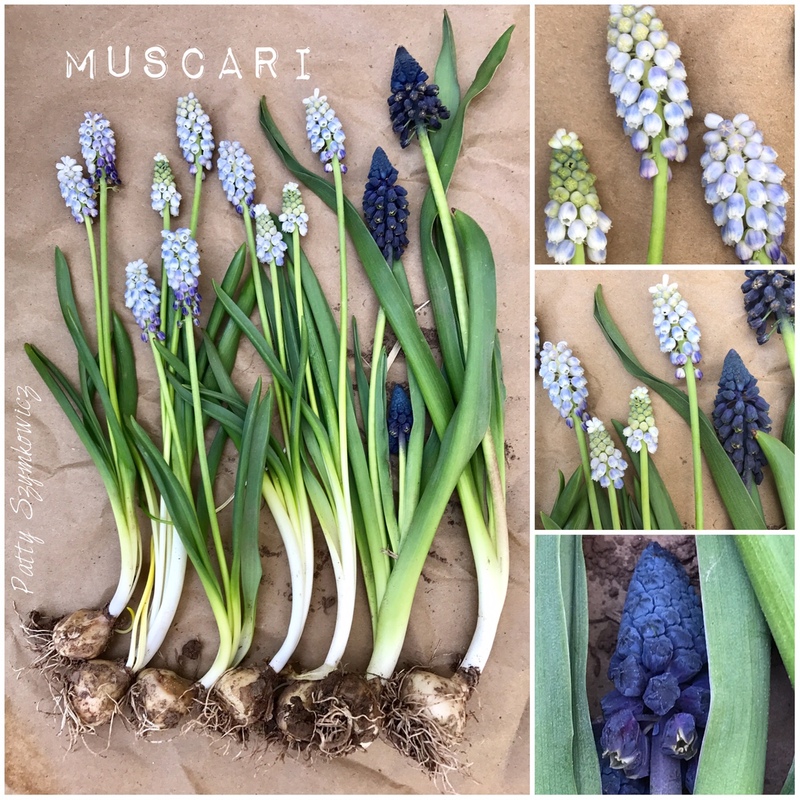 I like your muscari bulbs, the pale blue one is unusual, I must have a look out for it (we have the darker blue which is also good and steady every year). What a lovely view the rabbits have in the end photo, it’s so peaceful. Beautiful flowers! No wonder it seems like you were in Holland. 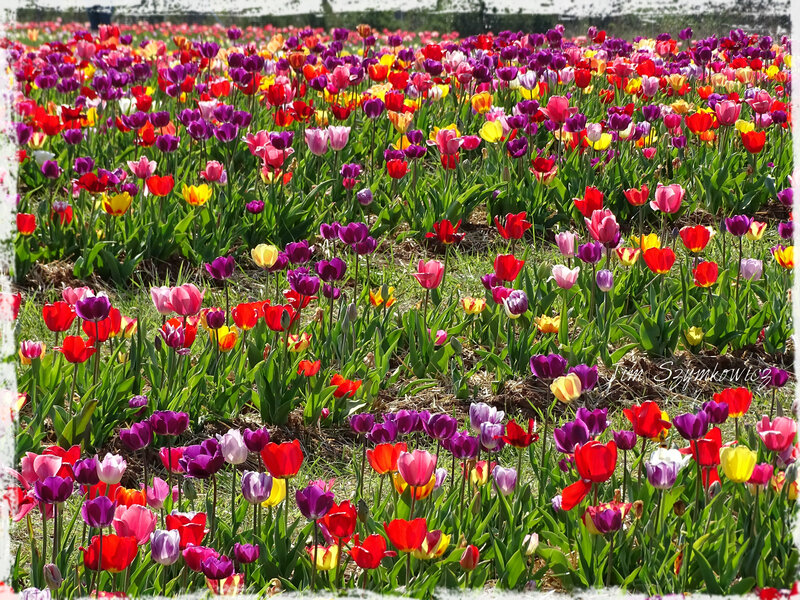 I suppose you have seen the bulb fields In Holland for real, widely travelled as you are. I grew up in Holland and have fond memories of course. It’s really nice to see a bit of Holland in other parts of the world! Can you imagine that there are many Dutch people (especially the young ones in cities) that dislike the fact that the identity of The Netherlands is always tulips, Delfts Blue, mills and wooden clogs? Haha, I think we should really cherrish it. 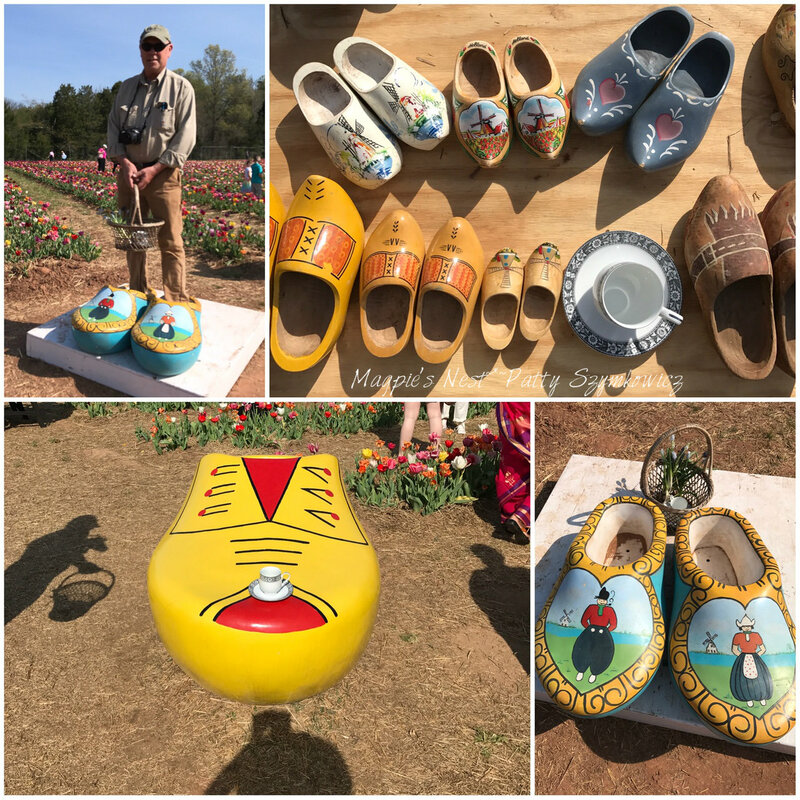 I’m happy to know that there are young men in parts of The Netherlands that still walk on wooden clogs… 🙂 Beautiful pictures and I envy your garden! 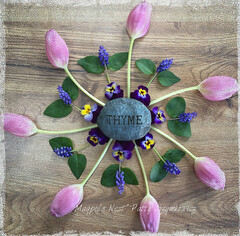 So many beautiful photos of tulips and daffodils! Those clogs are amazing! And I love your easter eggs with the fine patterns! I wanted you to know I got home very late tonight and, after checking my mailbox, your card arrived. I have not opened it, yet, but have photographed the envie. Thanks in advance, because you really DID NOT need to do this, but I am most grateful. I’m certainly going to miss you the rest of this month, dear. Ohhh, everything is sooo beautiful!!! 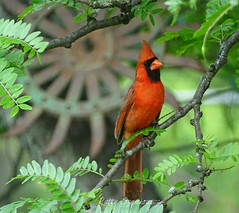 wow holland right outside your door….how kooool is that! Pretty fotos too. Visited several times to see if I’ve missed any posts… hope all is well with you Patty. Hi Patty! You take such beautiful phtoos! all fine with you, patty? Still keeping you in my thoughts dear Patty and hoping you are well and ok.
Dear Gill Thank you so very much for thinking of me. I do appreciate it. Things are much better than they were. 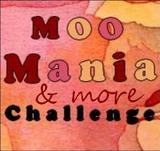 I cannot believe that I have been away from blogging for a year now. It does make me a bit sad especially knowing I am missing out on connecting with special people like yourself! Our main computer where I did my blog posts has not been reliable. So I find myself on my phone doing what I can from it. Last August I joined Instagram. It can be time consuming in its own way but requires a lot less sitting and reading so that works better for me now. After ten years of blogging I now find it hard to go back. I guess everything changes. Thank you again for your kindness and thoughtfulness! I hope you are well. Happy Springtime to you and yours!